The University of Kent is home to some fantastic facilities, including lecture theatres / concert halls for 20-500 delegates, up to 200 meeting and seminar rooms, a cinema, 14 catering outlets and extensive sport and leisure facilities. During summer 2018, they sold over 200,000 bed nights and hosted more than 495 events/groups. 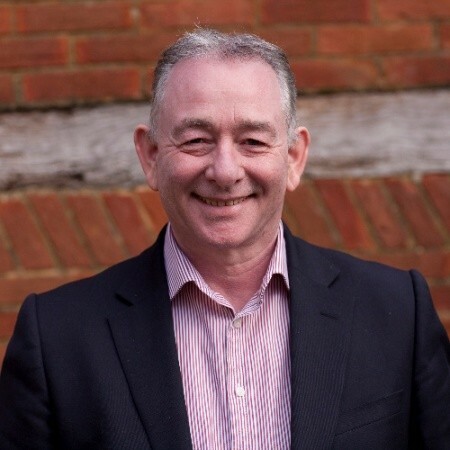 Kevin Stuckey, Director of Commercial Services is responsible for a workforce of over 350 within student accommodation, conferencing, reception services, housekeeping, catering, HR, finance, sports, marketing, and the Arts. The student accommodation and conference teams operate under one unified management in order that they can control the bedstock on a year-round basis and maximise income. The mission of the university from a commercial service perspective, is to deliver an unrivalled service and a campus lifestyle with passion, pride and professionalism,” says Kevin. With an annual turnover of £47million, the commercial services activity is key to the overall success of the university. Summer conference business generates in the region of £4.5 - £5.2m through a range of market sectors and one innovative way they generate additional income is by working closely with the academic departments and delivering a ‘one-stop-shop’ event management service for them. “Academic departments were coming to my team saying they want to hold a conference with us, but they simply didn’t have the administrative resource to handle it. This was a perfect opportunity for us to offer them a one-stop full event management service using KxRegistration,” says Kevin. From setting up web pages, dealing with payments, organising the badges and more, Kevin and his team generate further revenue by charging up to £35 per head for this service. In 2018, they organised more than 20 ‘one-stop-shop’ event management service packages for their academic departments. In 2002, Kevin was looking for a software to assist with their conference and events business. There were several hotel systems out there on the market, but he wanted something that could handle the large number of bedrooms, meeting rooms and catering facilities the university is home to. The following year, student numbers dramatically increased, bringing forward the purchase of KX student. By 2003, the University of Kent had implemented KxCatering and shortly afterwards they had KxConferencing. “There were a few reasons why we chose Kx. The main reason for me personally was having the confidence in the company that they would deliver what they promise. I had that confidence at the time and it's turned out to be right decision,” says Kevin. Over 15 years later, they now have more than 14 Kx products. The future of Commercial Services at Kent is exciting. A 150/200 bed hotel and conference centre is in the pipeline and the construction of the new “Kent Indoor Tennis and Events Arena” capable of holding up to 2000 delegates will be completed in December 2019 in good time for the Lambeth Conference who are returning to Kent in July 2020. The British Open Golf Tournament also returns to Sandwich in Kent in 2020 and the University accommodation and facilities is also used comprehensively for this event.